Port Hedland is a natural deep anchorage port in Western Australia. Only 14,000 people live in the town, but it is a significant destination for major sports and social gatherings for the local community. The town was in need for a new recreation center. 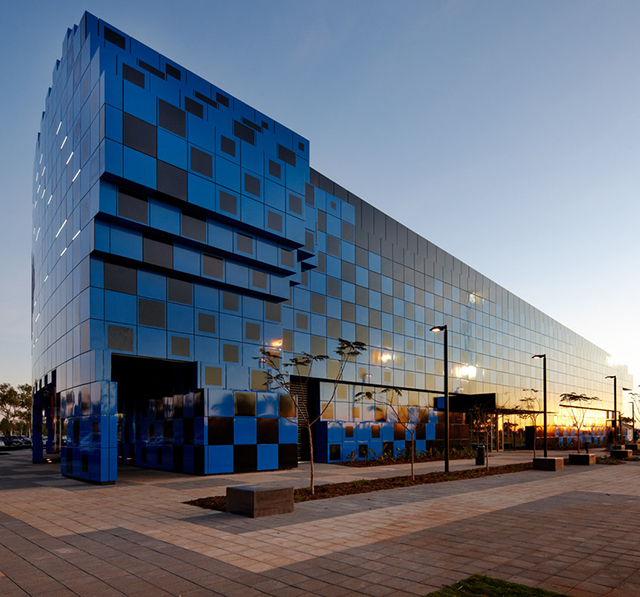 The town commissioned the creative team from ARM Architecture to build the Wanangkura Stadium, which includes an indoor playing court, a gym, squash courts, club rooms for local football teams, short term childcare minding and function rooms. The towns population is forecasted to increase by 2.5 times in the next 23 years, therefore, the need to build a sport and recreation facility which catered to people of all ages and sports of all types was in demand. After deciding on the architects, the town let the community decide on the name. Hundreds of names for the $35 million building were submitted by the town residents which finally led to Wanangkura, meaning 'whirlwind' in the local Kariyarra language. The title pays tribute to the center's cyclonic pattern design that creating a shimmering, rippling effect on an otherwise flat landscape. The architects explained that their "approach to the design considered this building as a mirage – a shimmering, rippling effect on an otherwise flat landscape. 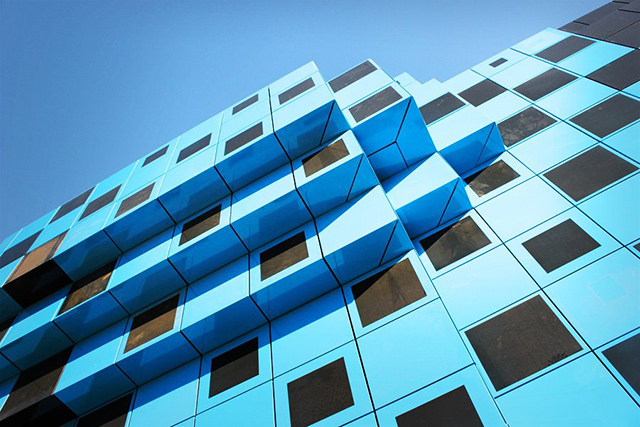 Using a ‘halftone’ pixelated technique, the building’s entry facade acts as a clear visual image from long distances, whilst being highly aggregated on closer inspection." The 48,000 square foot building is covered in black and blue vitrified facade panels, which on close inspection appear to have been installed at random but from a distance represents a cyclone pattern. 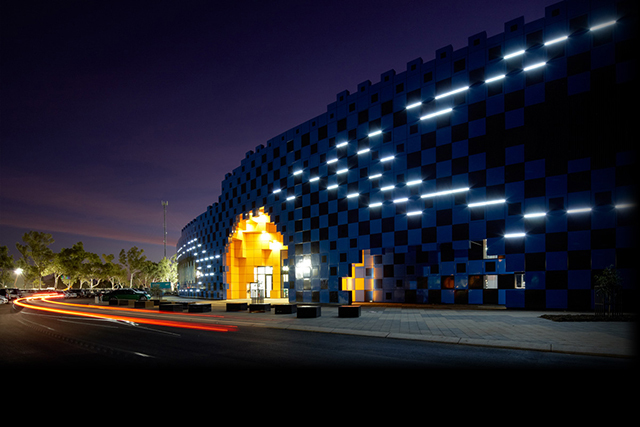 LED lights are installed on the front facade and enhance the unique pattern and shape of the building at night. Externally, the building is covered in approximately 3955 vitrified enamel panels, which were manufactured and delivered from China. The panels have been created to withstand the extreme Pilbara heat and also severe winds caused by tropical cyclones. Inside the stadium, the club changing rooms have been painted black and white in honor of the home football team, South Hedland Swans. Upstairs is the function room, which spans the length of the indoor stadium with large windows facing the sports oval. The function room has a bar and will be installed with large flatscreen TV’s to provide the ultimate sports experience. Offices and conference rooms are also located on the upper level, with floor to ceiling windows giving people inside a birds’ eye view of everything that is happening below. 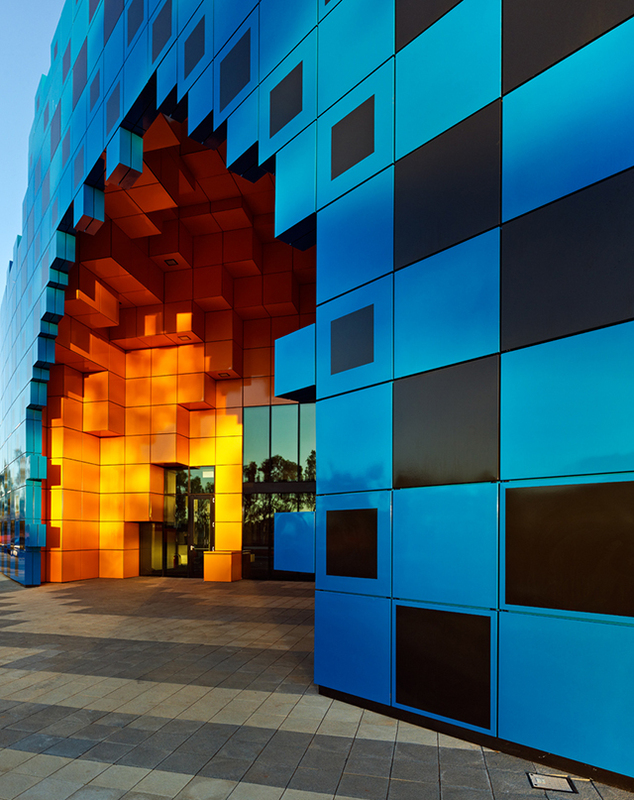 The town has become excited about the new building, describing the creative boxy structure as the most unique building in Port Hedland.